President Benigno Aquino III of the Philippines has signed a law mandating biometrics voter registration, reports Newsbytes Philippines. The law, known as Republic Ac No. 10367, requires the Commission on Elections to conduct validation starting in July. Registered voters who have not submitted their biometric records will be required to do so. 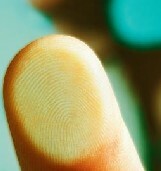 New voters will also be required to register their biometrics. Voters who do not submit to biometric data validation will not be able to vote in the May 2016 elections, although they may reapply after those elections take place. The Commission estimates that about 9 million of 52 million registered voters still need to comply with this law.